Congratulations! In considering telematics (black-box) based insurance you’re about to take the first important step towards more affordable learner driver insurance. This is great news for you and your parents. Using black-box insurance shows how serious you are about driving safely and responsibly. The second important step is in choosing iKube, one of the most technically advanced telematics solutions currently available. 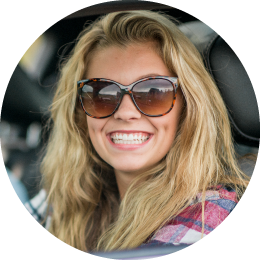 As car insurance for young drivers, iKube uniquely combines the benefits of established telematics technology with new RAC Advance functionality. Together they provide you with the tools and technology necessary for you to improve your driving skills, drive responsibly, arrive safely and avoid the likelihood of accidents. They will, in time, help you get your young driver insurance premiums down to the lower levels enjoyed by the millions of experienced and responsible drivers who use our roads. 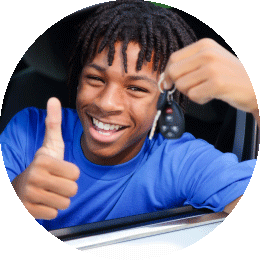 All you have to do is to choose it, use it and “prove it” and the prize of affordable young driver insurance is yours. Even better news for you and your parents! And if you’re prepared to spread the word about iKube, there are even more exciting rewards on offer for you too! 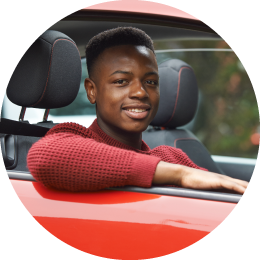 Loved having iKube on board as your guardian angel and happy to recommend iKube learner drivers insurance to everyone you know who’s about to learn to drive? Fancy earning yourself some extra spending money? Great! We’ve partnered with Red Letter Days, one of the biggest names in voucher reward schemes, to say a big thank you to you for referring friends and family to iKube insurance …and, the more people you refer, the more you earn. All you have to do is to get them to ring us, to mention your name and that they’ve been referred by you and – providing they go onto take out an iKube young driver insurance policy – you’ve just earnt yourself £55 in Red Letter Day Lifestyle vouchers. Hit the high street, save them up for something special, or exchange them for Red Letter Days Experience vouchers: the choice is entirely yours. Enjoy! Ask them to call us on 01443 420662. Earn £55 in vouchers or experiences with every iKube referral you make! Red Letter Days is synonymous with providing unforgettable gift experiences. They’re also experts at helping UK companies reward and incentivise loyal customers like you! The Lifestyle Voucher, is one of Red Letter Days’ most popular rewards. It’s easy to give and even easier to use. Delivered as a gift card or electronic voucher, Lifestyle lets you choose from over 150 of the best shopping, leisure and travel brands in the UK. There is something for everyone. Which is what makes it a great reward. Red Letter Days offer hundreds of experiences in the UK. Their unrivalled choice means there is something to suit every taste and occasion. Experiences range from those that make everyday life a little bit more special – like a few hours of being pampered at a luxury spa – to experiences that are genuinely once in a lifetime – like the incredible F1 Driving or Spitfire Passenger Flight. And experiences aren’t just for individuals. Many are offered for two people to enjoy together. The more referrals you make the more rewards you get. You can spend your rewards with any of the shopping, leisure and travel brands available or book that outstanding experience right away. Not ready to decide or need a little extra to get the ultimate experience? No problem! You can save or swap your rewards at any time. Simply set up your Rewards account here, and start referring your friends and family. Make sure they tell us your name and that you referred them when they call and if they sign up we’ll automatically update your Rewards account with £55 for every successful referral you make. *Rewards take up to 14 working days to process and require a valid email address. iKube uses RAC Advance telematics to provide services that enhance your car ownership experience. 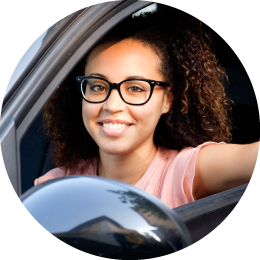 Using data from your vehicle iKube is able to provide you with key feedback on your driving style, location and journey history as well as important information and advice on the health of your vehicle. 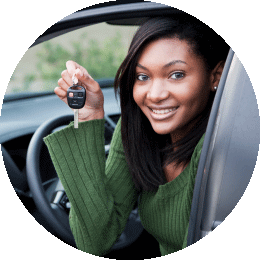 By monitoring your driving style iKube is able to provide you with an ongoing young driver insurance score. This driver score is an indication of the risk of accident but also an indication of how efficiently you’re driving. Maintaining a high score will not only make you a safer driver but save you money on fuel and maintenance costs – this is especially beneficial when you drive your own car. Location and journey information can provide you with the security of knowing where your vehicle is and also provide useful records of all your journeys. 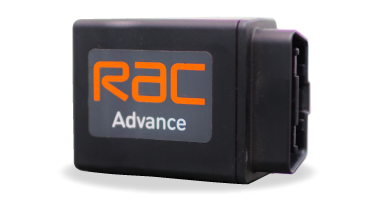 Data from the device is combined with the RAC’s 120 years of vehicle maintenance experience to provide you with guidance on vehicle faults. When the RAC is able to detect a fault remotely we will contact you to provide advice on steps to take. If you’re unfortunate enough to breakdown at the roadside the information from the telematics device will allow the RAC to quickly locate you and also provide specialist information on the fault. This will allow the RAC to provide a fast and accurate response. The installation of the black-box device is carried out by one of our professional fitting engineers. The fitting is quick and easy and usually takes less than 30 minutes. You’ll be contacted by our fitting partner who will arrange a convenient time and place to fit the device. They may require you to show your driving licence and vehicle registration details to confirm your name, age and the vehicle’s identity. The app provides a simple and useful insight into the status of your vehicle and your driving behaviour, with a number of key features you’ll find intuitive and useful. Features include real-time vehicle location, journey history including start/end locations, MOT/service dates and insurance information. Driver scoring provides a view of how well you’re driving, along with tips on how to improve. Enhancing the driver score not only reduces your risk of accidents but also improves the fuel efficiency and costs of running your vehicle. The RAC telematics device inside your car uses key data to provide you with insight into your vehicle health, journey history, driving behaviour, journey times and urban driving. The management of the data follows the RAC’s strict rules and procedures on data privacy and security and systems are in place to ensure this data is always safe and secure. Data will only be used for the purpose you agree to. Data on hard acceleration, braking and speeding will be used to provide you with a score and advice to lower vehicle costs and improve safety. Will be provided to you to locate your vehicle and may be used with your consent to locate the vehicle in an emergency. Will be provided to you as journal of your past journeys. 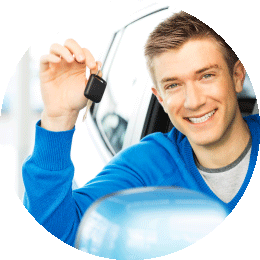 Will be used to provide you with advice on the safety and maintenance of your vehicle. Founded in 1897, the RAC is the UK’s first established and most experienced breakdown provider with over eight million members and a wealth of innovative solutions to issues affecting vehicles. They fix four out of every five cars at the roadside in an average of 30 minutes and their patrol vans carry over 500 parts and tools to get you moving again. 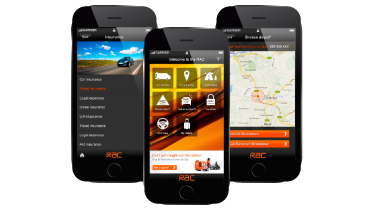 RAC telematics is yet another way in which they’re helping their customers get more from motoring.